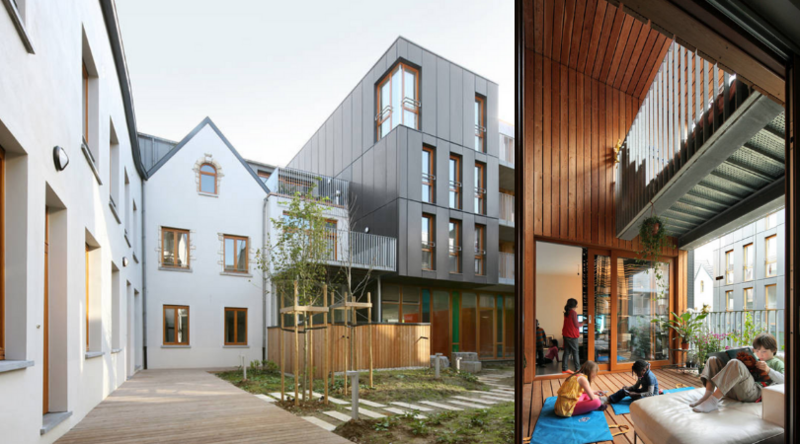 From Vienna to Chile, the success of social housing for the working and middle classes shows how beautiful homes can coexist with urban housing for all. Savonnerie Heymans in Brussels. Filip Dujardin / Archdaily.com. American culture is saturated with the idea that public housing is inevitably and uniformly grim — not so much a place to live as a place to lay your head while you plot your escape, or to simply resign yourself to paralyzing poverty and social invisibility forever. The impression of public housing as dull, dilapidated, and dangerous has always worked in favor of those who would rather there be no public housing at all. Private real-estate developers, landlords, banks, and assorted wealthy people who don’t like paying taxes benefit enormously from our pessimism and lack of imagination. It galls and frightens them that we might someday start to view public housing not as emergency aid for the most destitute, but as an ambitious long-term solution and preferable alternative to the atomization, insecurity, and relentless exploitation of the private housing market — that is, that we might build public housing so attractive that people wouldn’t want to take out mortgages or pay market-rate rent anymore. So they would rather we didn’t find out about Red Vienna, or Le Lorrain in Brussels, or Sa Pobla in Mallorca, or even the heyday of British council housing. These projects past and present demonstrate that social housing can be vibrant, safe and beautiful, all while being affordable and reliable for ordinary working people. Vienna’s Karl Marx-Hof apartments. Dreizung / Wikimedia. To capitalists whose profits depend on extracting as much value from land and shelter as possible, raised expectations for what public housing can accomplish are an existential threat. And nothing raises those expectations quicker and higher than familiarity with Red Vienna, the paragon of social housing in modern history. Unsurprisingly, the massive undertaking to build decommodified housing for the city’s residents was spearheaded by socialists. A robust labor movement with socialist leadership had established itself in Austria during industrialization in the late ninteenth century, but socialism really came into its own after the First World War, when the collapse of the Austro-Hungarian monarchy created new political openings. In Vienna, the Social Democratic Workers Party came to power in 1919 and immediately set about implementing an ambitious reform program. The socialist city government imposed heavy taxes on the wealthy and, starting in 1923, used new revenue to replace its overcrowded and drab working-class slums with modern public housing. Because these were built by socialists with a vision for decommodifying shelter entirely and with a political allegiance to the city’s working class, they weren’t begrudging bare-bones offerings. Far from it, they were high-concept, masterfully-built edifices, many of which have stood the test of time. Their construction doubled as a good unionized public jobs program, helping the economy recover after the war. 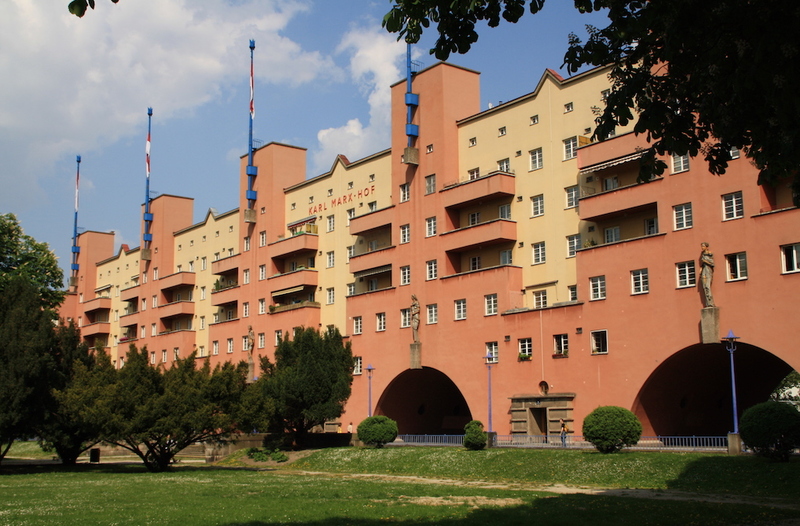 Red Vienna’s social housing was designed not just as a place for workers to recharge between shifts — what Barbara Ehrenreich has aptly called “canned labor” — but as a place to live. The majestic apartment buildings featured leafy courtyards, copious open space, and plenty of natural light. They had well-equipped shared laundries and communal state-of-the-art kitchen facilities. They were connected to, and sometimes contained within them, public schools and cooperative stores. Many even had bathhouses and swimming pools, healthcare and childcare centers, pharmacies, post offices, and libraries on the premises. The largest apartment block in Red Vienna, Karl Marx-Hof, was used as a fortress against militant fascists in the lead-up to the Second World War. The socialists put up a valiant resistance, but in time Red Vienna fell to the fascists. Even so, the city retained the memory of beautiful social housing: for residents of Vienna, the illusion that shelter had to be either private or subpar had been forever shattered. Vienna continued to build desirable social housing after the war, and today 62 percent of the city’s residents live in social housing, compared to 5 percent in New York City. The Boundary Estate in London. John Lubbock / Wikimedia. In 1979, 42 percent of Brits lived in public housing. The big and bold postwar British public housing system wasn’t a telltale sign or symptom of widespread immiseration. Instead it was the fruit of a century of reformers’ visions and working-class struggles. Some council estates were modest, while others — like the charming, eccentric turn-of-the-century Boundary Street Estate, or the striking modernist buildings designed by communist architect Berthold Lubetkin — were carefully planned for maximum livability and architectural allure. 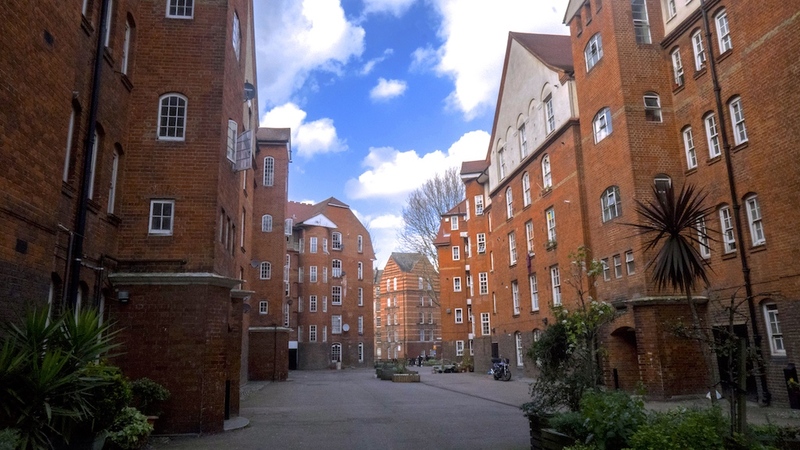 British social housing was funded through progressive taxation, an arrangement that social democrats justified by pointing out that public housing tenants performed the labor that made large personal fortunes possible. Naturally, this never sat well with the domestic ruling class. So when a global recession in 1973 caused a crack in the foundation of the economic system, capitalists and their political allies leapt at the opportunity. Deliberate underfunding of the housing projects — rationalized as a consequence of unavoidable recession-era belt-tightening — began in the 1970s, followed by a full-on privatization scheme in the 1980s. When Thatcher came to power in 1979, she swiftly passed legislation allowing tenants to buy and eventually sell their council flats — a clever way of absorbing the publicly-furnished housing stock into the private sector and reestablishing the supremacy of capitalist markets. Low-income tenants have been subjected to steadily disappearing protections and increasing rents ever since. Austerity drove many estates into disrepair in the late twentieth century, and Thatcher’s ongoing right-to-buy scheme continues to privatize what remains. Only 8 percent of Brits live in public housing today, but they still have a stronger intuition about social housing than Americans do. Jeremy Corbyn’s Labour Party has recently proposed an ambitious new social housing initiative, and it’s been received with an enthusiasm that’s difficult — though not impossible — to imagine in the United States. Carabanchel, Madrid. Francisco Andeyro / Wikimedia. Though privatization and austerity are on the march everywhere, the social-democratic legacy of high-quality public housing hasn’t entirely evaporated. Particularly in Europe, there are a handful of recent developments that draw inspiration from the projects of the past — particularly their architectural legacy. Spain has recently taken up the mantle, and has turned its public housing program into an opportunity for architectural experimentation. In Madrid, the Mirador housing project features a large open space in the middle of the vertical building that doubles as a communal plaza, while the Carabanchel Social Housing project is heavy on bamboo and the 120 Parla project has a retro-futuristic appearance. In Barcelona, the Torre Plaça Europa looks identical to a pricey condo building in London or New York City — same with the Parc Central Social Housing Building in Valencia. The Sa Pobla project in Mallorca looks like something a movie star would rent out for an Instagrammable vacation, and social housing for mineworkers in Asturias is a geometric novelty, inspired in color and shape by the coal that the miners extract. But Spain is not run by socialists, and while the architecture of these new social housing projects upends the idea that poor people should live in ugly and boring buildings, the projects leave some things to be desired. These buildings are often located on the peripheries of cities, where land is cheaper — for a reason, since these areas are underdeveloped and remote. Building social housing on the outskirts tends to segregate working-class tenants and burden them with costly and time-consuming travel, a mistake also made by the otherwise relatively successful Swedish miljonprogrammet, or Million Program. Fashionable buildings are an improvement, but ultimately unsatisfactory if there aren’t shops or schools nearby. Imagine these buildings in vibrant city centers and you’ll have an idea of what social housing can actually achieve. Better yet, imagine them in bustling neighborhoods and equipped with their own publicly-run pharmacies and daycares. Now you see why Red Vienna remains the social housing gold standard, in terms of real value to working-class tenants. Brussels has given Spain a run for its money in recent years. 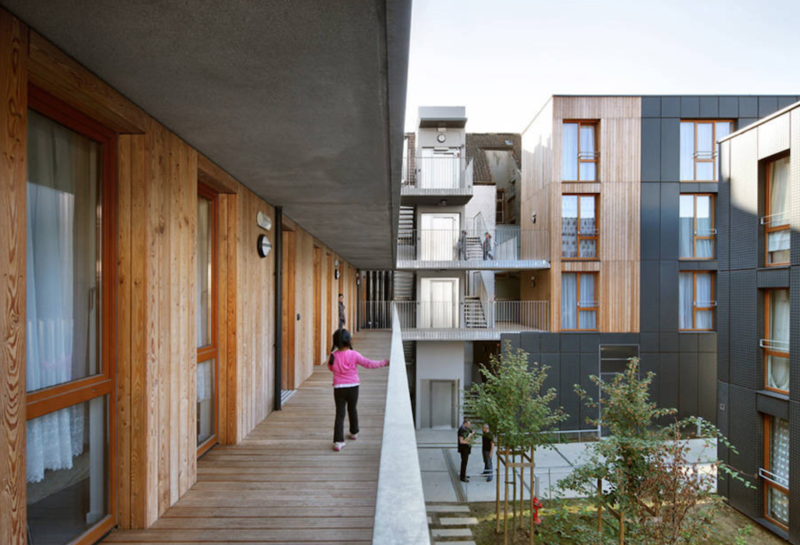 Two developments in particular — Savonnerie Heymans and Le Lorrain — are shining examples of social housing architecture. Savonnerie Heymans, named after the soap factory that used to occupy the site, is less than half a mile from Brussels’ central square. It comprises dozens of units of varying types — studios, lofts, duplexes and apartments ranging from one to six bedrooms. The architecture is as varied as the units themselves: there are boxlike structures made from glass and slatted wood that have a modern Finnish-sauna feel, and white pitched-roof dwellings that resemble modern interpretations of Belgian cottages. In the middle is the old chimney from the soap factory, the kind of homage to industrial history that’s usually cloying in bourgeois settings, less so in a social housing project. The smaller Le Lorrain is designed by the same architects and is also a renovated industrial complex, this one an old iron dealer. The new estate is spotless and stylish, like something out of Kinfolk or Dwell. 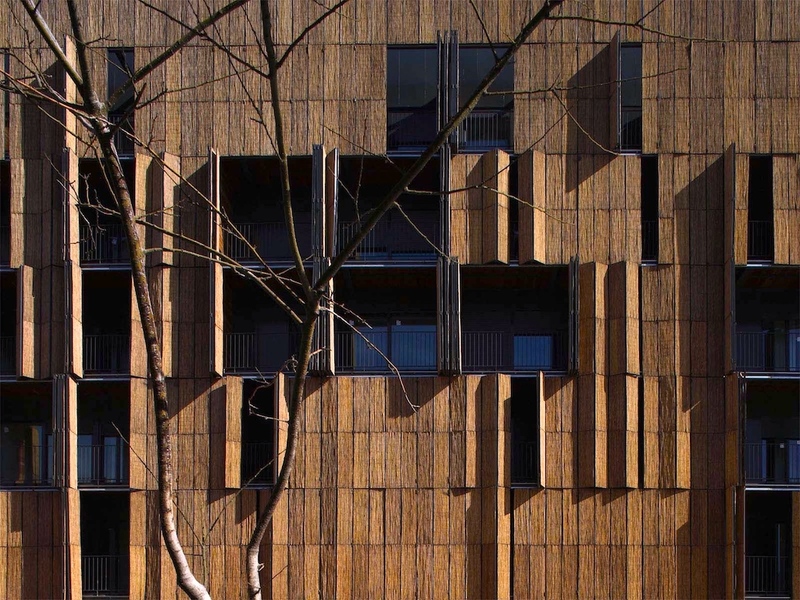 But what’s remarkable about Savonnerie Heymans and Le Lorrain isn’t just their pleasing architecture; it’s that, unlike the Spanish projects, they’re located on high-value lots in lively neighborhoods, avoiding the problem of working-class siloing. Their designs also encourage communal life to a greater extent: plenty of shared outdoor space, pavilions and gardens and “mini-forests,” and Savonnerie Heymans even has a game library for kids. The major downside to social housing in Belgium is that it’s a complicated public-private affair, with a labyrinthine nexus of developers, providers, payers and categories of tenant. The system is decentralized, and while Brussels doesn’t allow tenants to buy (or eventually sell) public housing as Britain does, other Belgian regions do — and there’s a danger that Brussels could fall prey to this policy, as austerity and neoliberalism break the social-democratic commitments of municipal governments across Europe. This is another area in which Red Vienna shines by contrast. The planning, construction, finance and maintenance of its social housing were highly centralized. The buildings were completely planned and administered by a democratically-elected body, and they were never intended to be privatized. They were provided by workers, for workers, ideally forever. 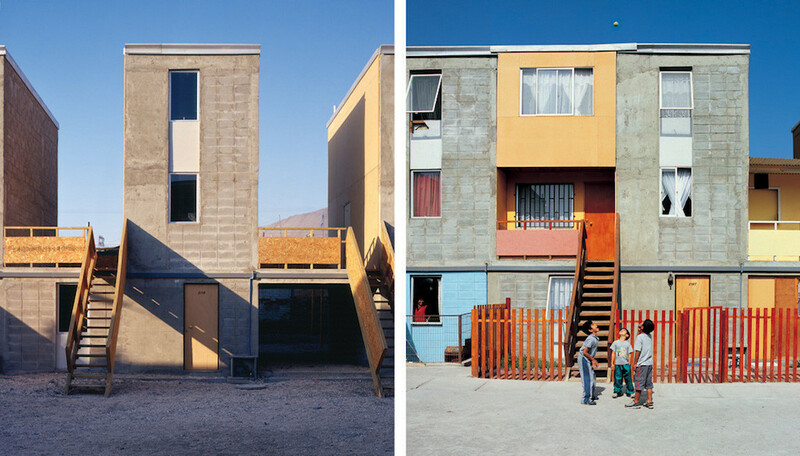 One of the most inventive social housing experiments of the last few decades is the Quinta Monroy Housing project in Iquique, Chile. Rapid urbanization has led poor Chileans to build neighborhoods of informal housing in cities, far from their original homes in the countryside but close to desperately-needed work opportunities. In search of a solution to dangerous living conditions in unsanctioned dwellings, the Chilean state tapped architect Alejandro Aravena in 2004 to turn the slums into social housing. Aravena came up with an idea: the state would provide half a house to each tenant, featuring a sturdy exterior shell and necessary interior infrastructure like bathrooms and kitchens. The residents could add onto them as they wished. Aravena calls this participatory housing. The upsides to this approach are many. In Quinta Monroy as well as in subsequent developments — including one in Mexico — a major emphasis has been placed on proximity of the site to amenities and opportunities, so they’re all situated close to city centers. And they also double as social services locations, with job training and childcare on site. Finally, as residents build out their units they get an opportunity to be creative and expressive of their unique sensibilities. But while the housing developments are a huge and necessary step up from dangerous slums, and the final results are eclectic and unique, the project also glorifies thrift and reifies lack of state resources in a way that’s at odds with a truly socialist vision of public housing. Aravena’s idea is a clever solution to a problem — slender state budgets — that doesn’t need to exist. Chile and Mexico boast the largest wealth gaps in the entire world. There is an underlying problem of resource distribution that participatory housing fails to address, and even affirms with its concessionary orientation to public-sector frugality. The attractive customizability of Chile’s participatory housing could be retained while also providing more elegant and better-furnished units, if only Chile would redistribute its wealth the way Red Vienna did — or indeed the way that Chilean democratic socialist president Salvador Allende sought to, before the U.S.-backed coup cut short his life and his vision. Though all these projects have their flaws and vulnerabilities, the British, Spanish, Belgian and Chilean social housing experiments all seriously trouble the idea that public housing must be ugly and uniform and ought to bear no markings of permanence or features of communal life. But it’s Red Vienna that takes the cake. It’s a true testament to what social housing can actually accomplish: it can be wholly public, well-funded, simultaneously extravagant and convenient, a cozy individual home in a rich communal world, and ultimately a preferable alternative to private rental housing. This is the socialist vision for public housing in a nutshell — housing not as an ultimatum between privatized commodity and public threadbare charity, but as a social good guaranteed by a state that sees quality shelter as a right of all people.